Bizarre coastal cliffs, charming sandy bays, beautiful chestnut and pine forests, sparkling clean brooks, magical mountain lakes, summit destinations at over 2,700 metres high, as well as predominantly unspoilt nature – what other holiday destination in Europe can boast a similar offer? There is hardly another place where a walking and bathing holiday can be combined in such an ideal way as on this Mediterranean island. Among hikers and mountain climbers, Corsica is no longer a secret. The long-distance alpine hiking trail 'GR 20' is especially popular, and a few tours in this guide follow portions of that route. The undisputed highlight, however, are the towering peaks of the two-thousand metre mountains Monte Cinto, Monte Rotondo, Paglia Orba and Monte d'Oro, which place the breathtaking, small world of the 'Mountain Range in the Sea' at the feet of hikers. But also nature lovers with less than alpine interests, and even die-hard Corsica fans will love this walking guide. Because, in addition to the main tourist routes, the author presents a number of less known walking options, from a beach walk to an adventurous cascade tour, to an easy panoramic summit. Most of these tours can be undertaken by families with children and elderly persons without difficulty. 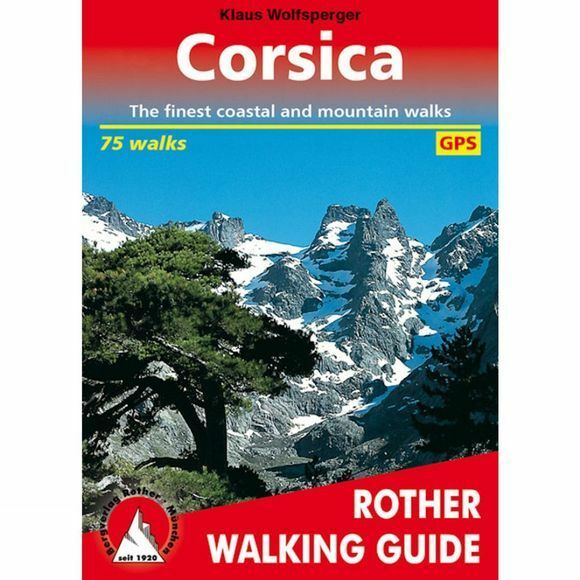 Lots of tips and information round out this well-executed walking guide and make it a must when travelling in the unique mountain landscape of Corsica.